This is the pre-publication version which was subsequently revised to appear in Creation 32(2):18. These photos are of a 2005 T.rex soft tissue find by Dr Mary Schweitzer—see Still Soft and Stretchy. Discoveries of soft tissue and proteins in dinosaur remains are unacceptable to many scientists. That’s because if dinosaurs have been extinct for 65 million years, as evolutionary dogma teaches, then cells and even proteins should have decayed long ago. That view can radically affect how researchers view the evidence. Note that University of Manchester researchers Phil Manning and Roy Wogelius were unwilling at that stage to call them “cells”. But subsequent analysis of the hadrosaur skin and a claw found amino acids (constituents of proteins) “suggesting that the cell-like structures were indeed cells”. In other words, if intact proteins had been found in the hadrosaur fossil, the researchers would have denied the result, instead dismissing it as “contamination”. Such is the sacrosanct view of the millions-of-years timeframe, the researchers would rather question their own analysis than the supposed age of the fossil! 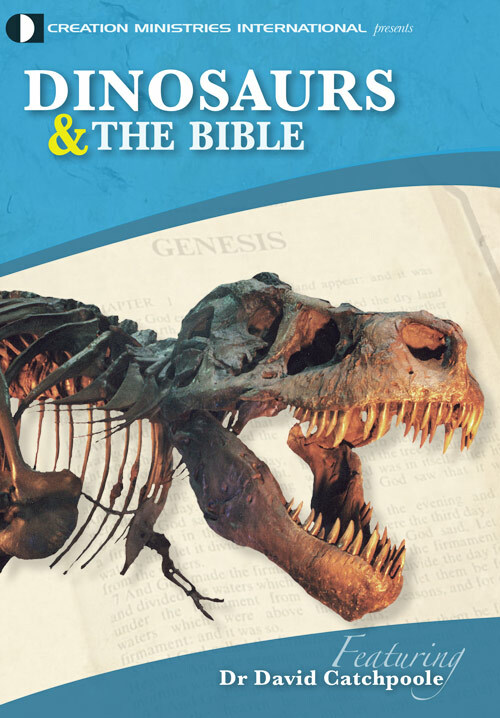 The evidence of intact proteins and soft tissue being found in dinosaur remains continues to mount—see Dinosaur soft tissue and protein—even more confirmation!—right in line with the Bible’s timeframe of history. The dinosaur fossils date back no more than a few thousand years at most, not millions of years. Were duck-billed dinosaurs green, grey, blue, orange or … ? Hecht, J., Dinosaur “cells” shed light on life 66 million years ago, New Scientist 203(2715):8, 4 July 2009. Return to text. Soft tissue in dinosaur fossils? The evidence hardens, Science 314(5801):920, 10 November 2006. Return to text. Schweitzer, M., Wittmeyer, J. and Horner, J., Gender-specific reproductive tissue in ratites and Tyrannosaurus rex, Science 308(5727):1456–1459, 3 June 2005. Return to text.